The western; one of the great ‘lost’ genres. It’s been a long, long time since John Wayne took to our screens like a fish to water, rootin’ and tootin’ his way into our hearts. Suffice to say, we’re due another great western . . . But The Lone Ranger certainly isn’t it (let’s be honest, would you have even believed me if I’d said it was?). Sure, Bojan Bazelli’s widescreen cinematography is really striking at times and the production design is world class. Hell, there are even a couple of Ennio Morricone-esque moments in Hans Zimmer’s score. But it’s just all a bit off. For one, the 150-minute running time is bloated beyond belief. It’s the kind of running time that should be reserved for nation-building epics (‘Once Upon a Time in the West’ and the like). It’s not enough to just chuck in a railroad subplot. There’s no sense of anything here reverberating through time to have any kind of significance outside of the insular world of Gore Verbinski’s (director) film. But, even a pared down running time wouldn’t solve everything. I know it’s a western, so I should know to expect otherwise, but I was left longing for another couple of strong female characters. We’re given a terrific twofer of Ruth Wilson (the long-lost hometown lover) and Helena Bonham-Carter (the sassy madam), but neither are given all that much to do. This is made all the more frustrating by the fact that they have to play second fiddle to a pair of bumbling idiots. 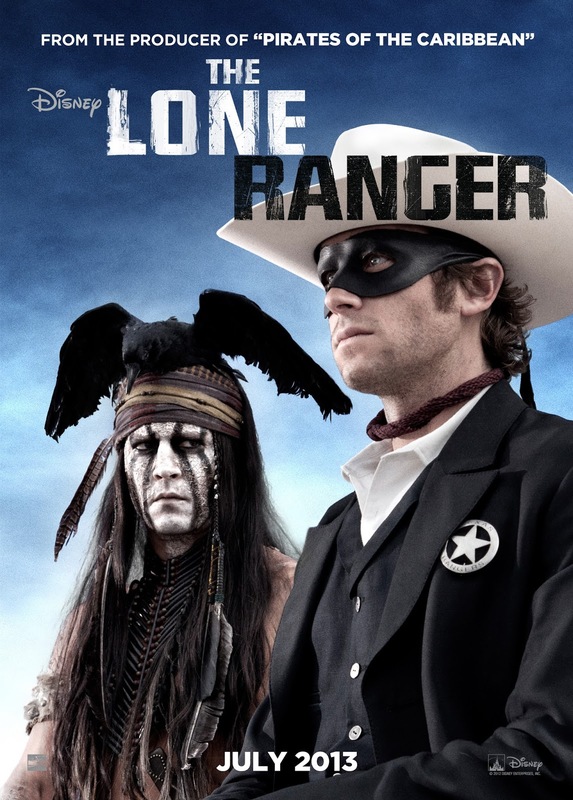 Johnny Depp’s Tonto is Jack Sparrow with face paint and Armie Hammer’s unassuming hero never won me over. Even the action is tamed by an over reliance on glossy CGI. Just because you have a $200m+ budget doesn’t mean you need to throw it all at the VFX department. While there is an undeniable bravura to some of the action sequences, the real-life extras and glorious landscapes soon give way to CGI horses and goofy ‘comedic’ moments. And, when you have the benefit of a finale that isn’t just a copy and paste of recent city-crushing ‘superhero’ set pieces, don’t treat it as such.